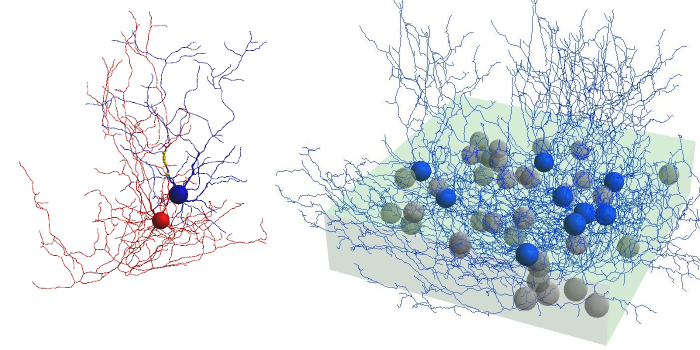 This is a project implementing the network model of of electrically coupled cerebellar Golgi cells, as described in Vervaeke et al. with Sparse Excitatory Synaptic Input, Neuron 2010. The Golgi cell model is based on the abstract cell model in Solinas et al., Frontiers in Neuroscience 2007. Well tested mapping from NeuroML v1.8.1 -> NEURON. KAHP channel with kinetic scheme formalism precludes use on GENESIS/MOOSE for now. Calcium dynamics prevent using this model on PSICS.